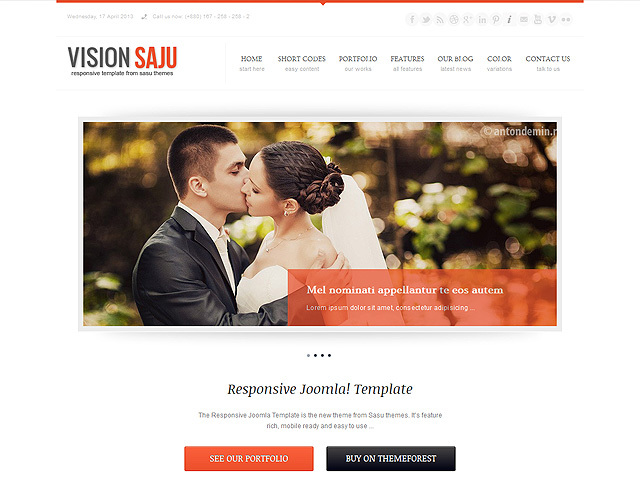 Vision Saju Joomla template is highly customizable, but also gives you many readymade features to choose from. The whole layout is very responsive as it uses HTML5 and CSS3 technology. 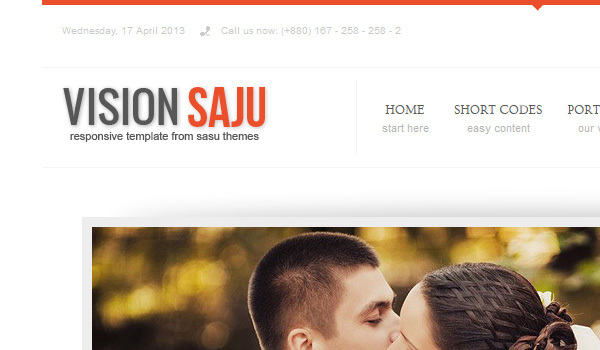 The Vision Saju Joomla template is cross-platform compatible and it even operates with mobile platforms. Even touch screens are not problem for this one – it has fully optimized navigation features like drop-down menus, which is great for anyone with a smartphone or a tablet. 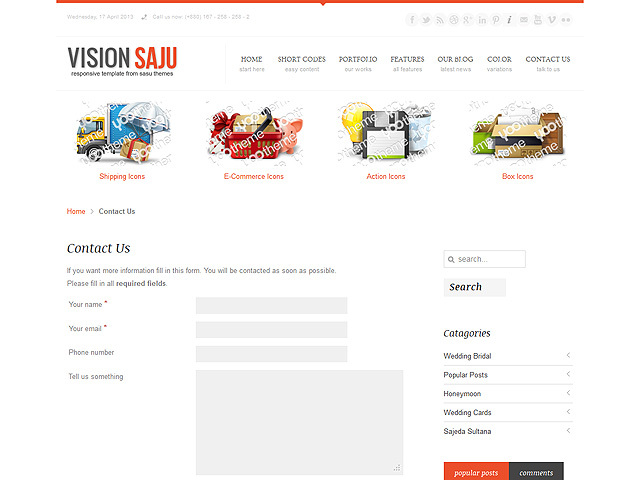 The Vision Saju Joomla template gives you 7 color options, but you can make one of your own whenever you want or need one. 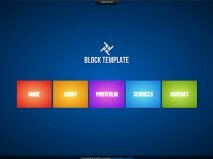 The colors of this Joomla template are really easy to customize using the admin panel. 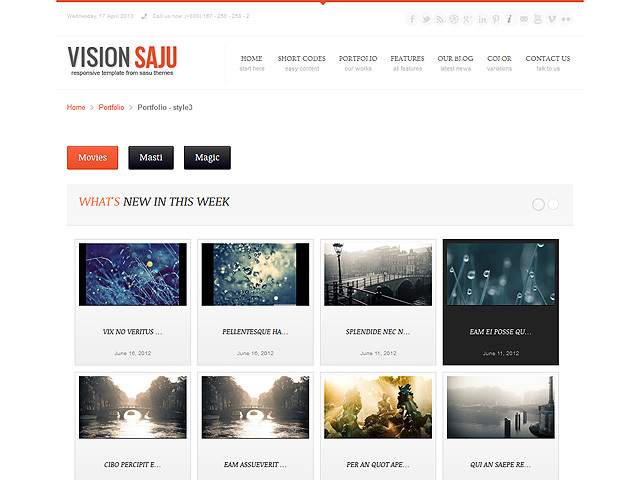 The Vision Saju template has 76+ module positions to ease your work and make it possible for you to make your site unique and pretty. The site itself will contain many options for mouse-over movements and effects which will contribute to a better user experience. The drop-down menus are also customizable and you can play around with them. The creatures also give you many Shortcodes to ease your life. They are quick and easy to use and will make your work time-efficient. The theme has beautiful sliders for featured content and is social-networks-friendly. This means you can easily share and like content with easy to use short buttons. You can also allow people to see a social network stream of your choice in any of the sidebars. 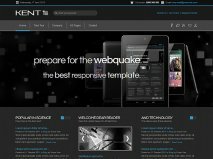 One of the strong parts of this template is its unique portfolio design – your work can pop-out against others in the same field. This template will make a good impression on your visitors and they will come back. You can also have a great professional blog and keeping it updated will be easy as a game.